Thanks for sticking around with us! Here's our recent printable that we made to complement the Transport Box. 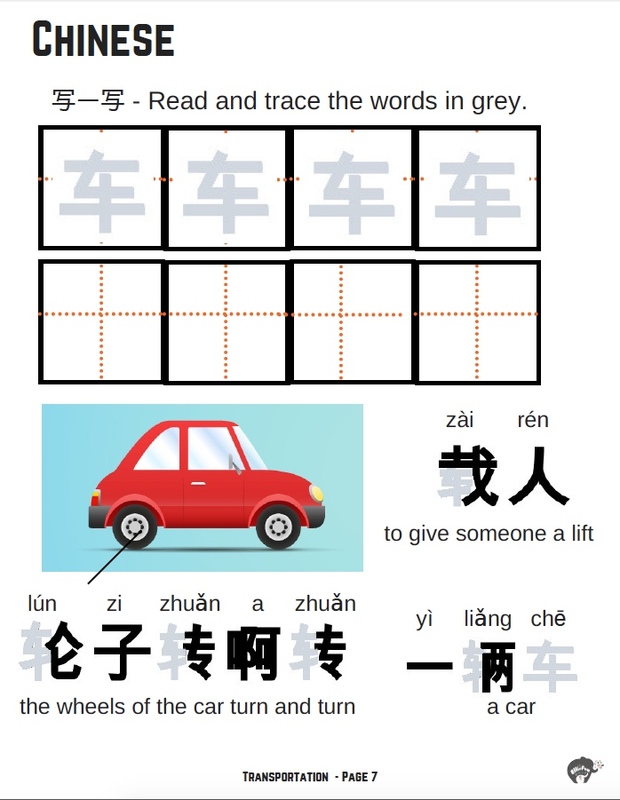 There are some Phonics, Mandarin and Math worksheets in the pack! Hope this will come in useful for the upcoming June holidays! Do you sometimes feel like you're doing many activities with your child but somehow you don't feel that both of you have accomplished much? I feel that way A LOT! And seeing all the disorganized paper clutter just adds to my stress levels. This is 1 way I organize and manage the learning with my child - and then FEEL GOOD about the work I've done with them. My secret is: a good old jotter or exercise book! 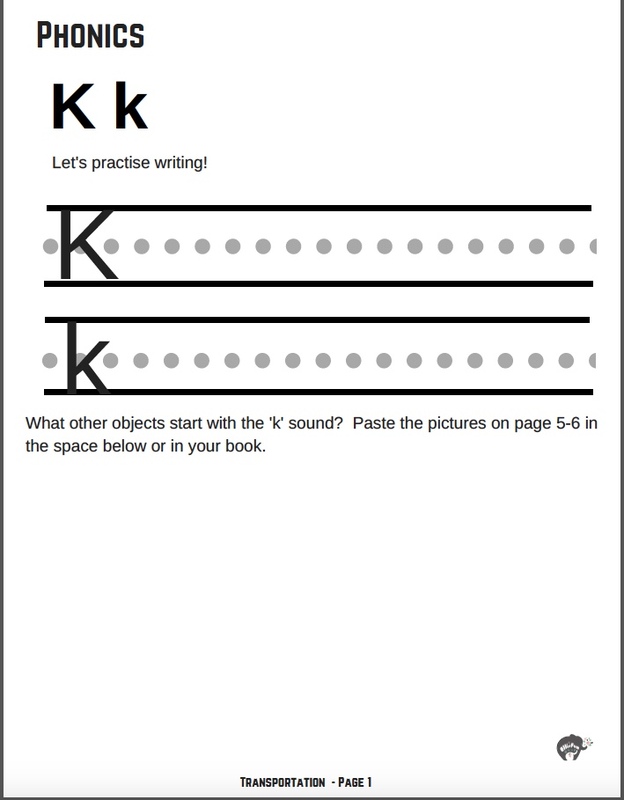 Part of our printable pack includes some handwriting worksheets. You can print them out and your child can write directly on them. But if I've got the time, I will cut them up and paste the worksheets on the exercise book. Then I'll let my child cut up the pictures and paste them in too. It doesn't have to look nice or neat. The process and the fact that he's doing it is more important than aesthetics! Love the the intense look on his face as he concentrates! 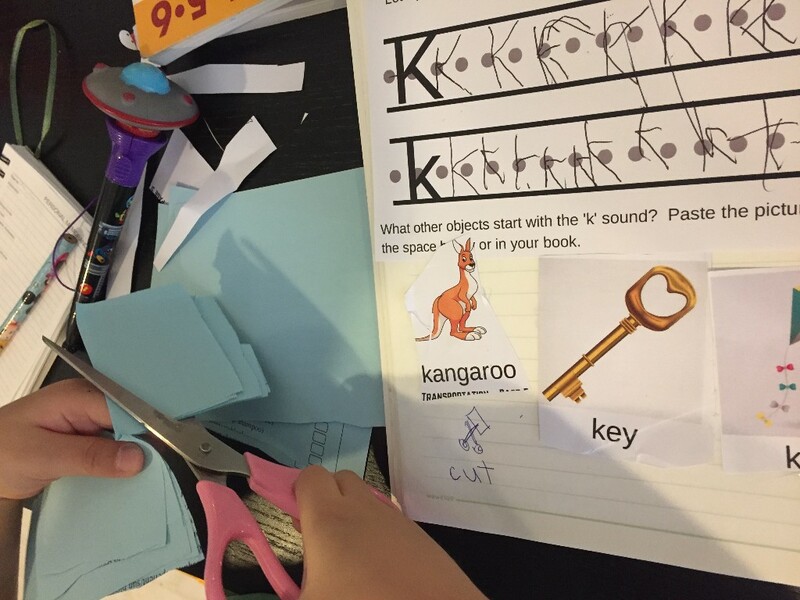 With a jotter book, we can "make the learning our own". For example, when I asked him what other words start with the /k/ sound, with the letter K, he said 'cut'. That was a good opportunity to write out the word for him and explain that it does start with the 'k' sound but 'cut' started with the letter C.
For the picture on the left, you can see that he was doodling his favourite cranes and excavators. He would explain what he was drawing and I would scribe for him. 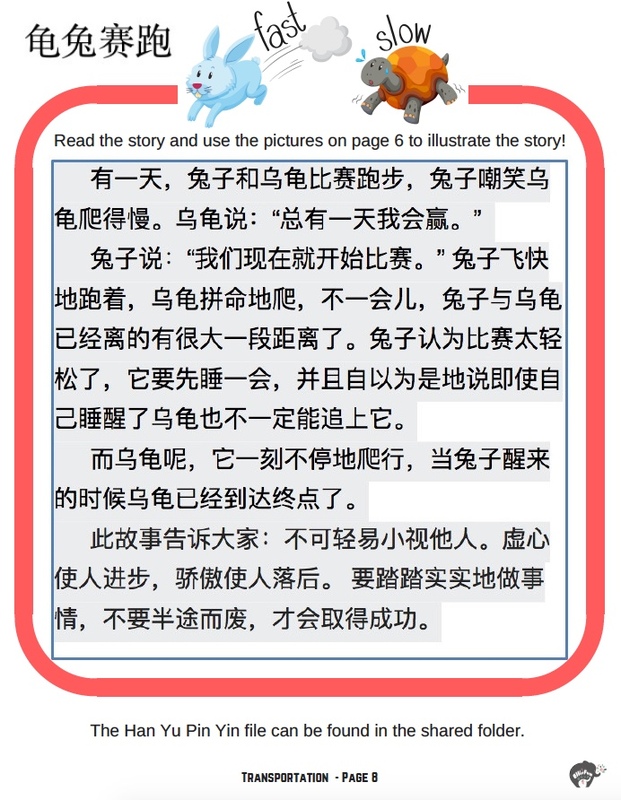 I learnt this from his Principal and it's great because your child sees you writing and translating his thoughts and words into written words. This models and motivates him to want to write too. Sometimes, if the activity isn't writing, you can get him to write in his book as a way to consolidate his learning. 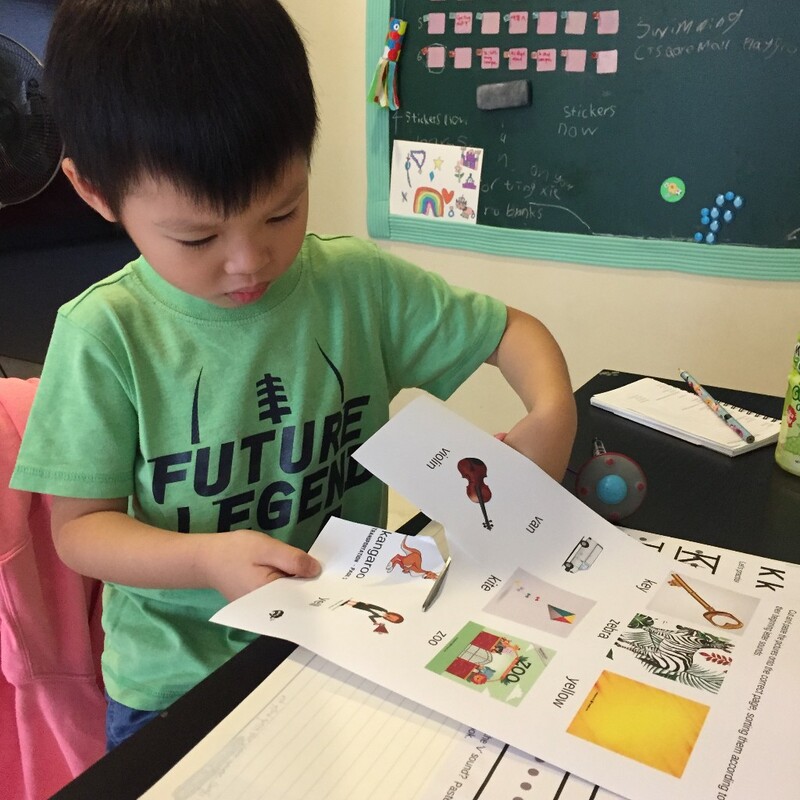 Picture on the right is an activity from the Art Box where he learns mathematical signs <, > and =. Best thing about using a book is that everything is consolidated in 1 place and we can always look back and see the child's progress! And you can give yourself a well-deserved pat on the back because it's a visible record that you've done a lot of work with your child! 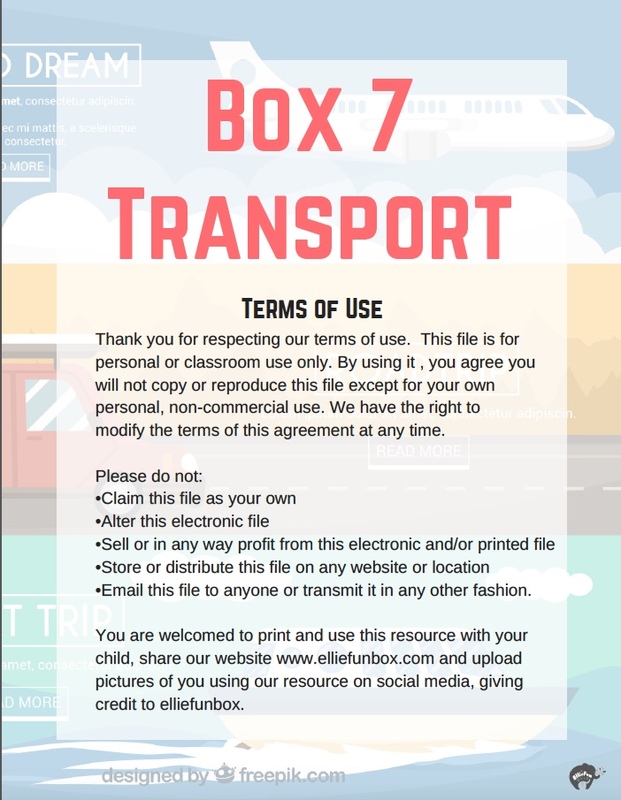 If you can upload pictures of you or your child using our printables or box on Facebook or Instagram, please tag us @elliefunbox or #elliefunboxreview, we'll be very grateful!! Know that every book you read with your child, every minute you invest in his/her character and learning is never wasted! Now be confident that only you are your child's first and best teacher!